so been considering weapon systems for crabulon. As much is it is about form over function, I would like it to have a weapon system, as this is something I have lacked in previous robots. 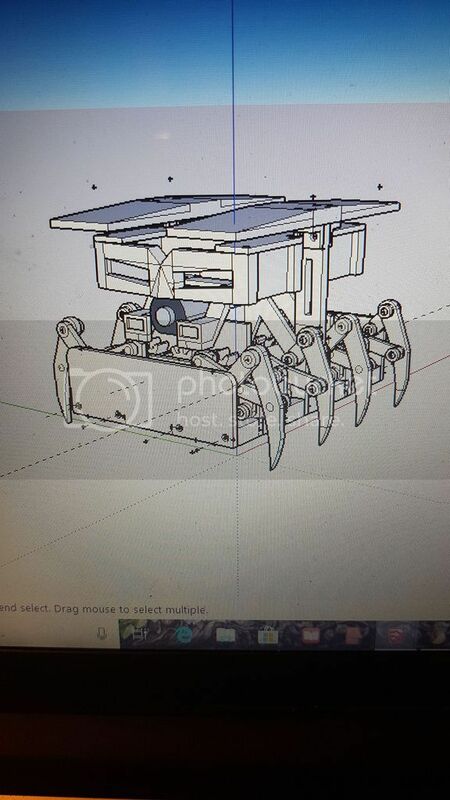 I defiantly said at AWS 56 (along with saying the robot will be pink...) That Crabulon 2 would have a drum spinner and the earlier designs factored that in (I may yet use the other design for crabulon as another robot) but the bot as it is dost feel like a drum spinner would be right. Now I have committed the cardinal sin here of considering the weapon system last. While I shall pray to the robot wars gods for forgiveness on this transgression I am forced to fit the weapon to the design now. And the long and short of it is that Crabulon 2 is not mobile enough to win a war of mobility. Servo driven turret: easier at expense of weapon range. Fixed. nice and easy at further expense of weapon range. Also could use a servo for this and run it of one ESC. Yes, run an axe off a N20, then it will be really impressive (even if not necessarily damaging). I think Derek Dudge's Manticore used a N20 with a beating club containing a big nut, and it was amazing at AWS55. I then finally got the test leg printed (will try post a vid of that). From that i decided I could get the mechanism better and from that designted a new version of crabulon 2. This version dosnt look as nice (yet) but is much more modular which I do like. It also has the option to have various weapons modules. The 2nd version is more geared towards forward walking, where as the first version is about side to side walking. I am awaiting a new test leg. if that works then I will get the crab printed. So a quick update on whats on the bot bench at the moment. Robototron: I have built a super simple and solid 2WD pusher at the moment. its mainly a practice/ placeholder bot. Boys Bot: Its a modular track driven lifter I have designed to be something my stepsons can play with. If its successful I may replace the pusher with a combat ready Boys bot as the new Robototron. Crabulon: Working on a improved shufflebot like the debut blue one. I still intend to make a Klann linkage bot but that is taking a bit more time than Id like. Huricianado: A spinner bot thats early in the works. OAF: Think I have cracked how to have a power switch on OAF that allows it to be externally turned on. OAF will be a very different bot internally now and hopefully will serve as a test bed for a beetle or featherweight version. Hoping to have OAF, Crabulon and Robototron at AWS 58. 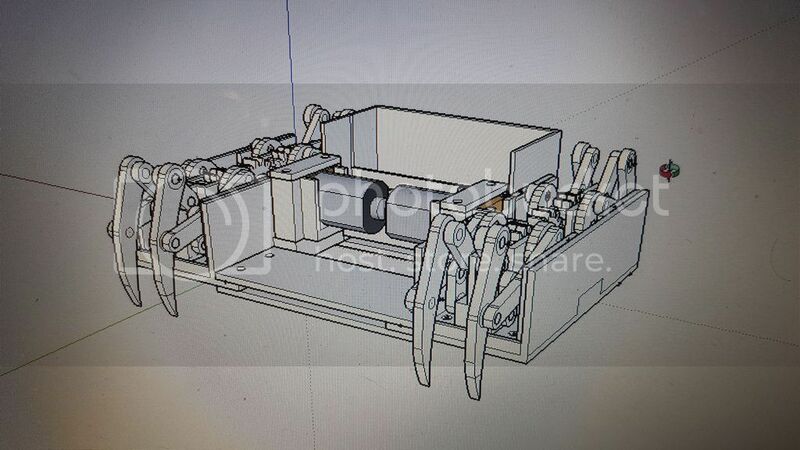 Row-boat-a-tron: currently plating around with magnetic coupling ideas for this. will say more when I have a bot. H2OAF: once OAF is working I am going to try make a floating shell to allow it to operate as a floating ant. I shall post more and pics when I have progress to report.